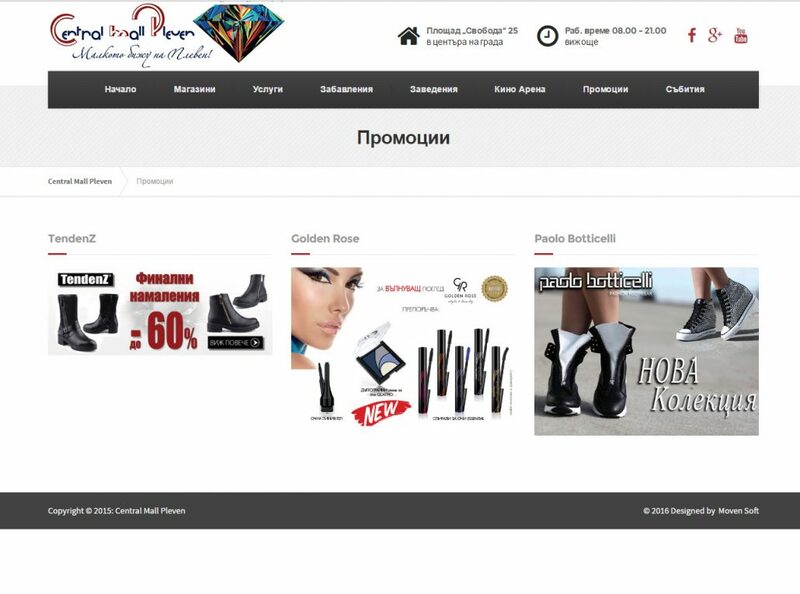 Central Mall Pleven | Moven Soft - Web design, SEO optimization. 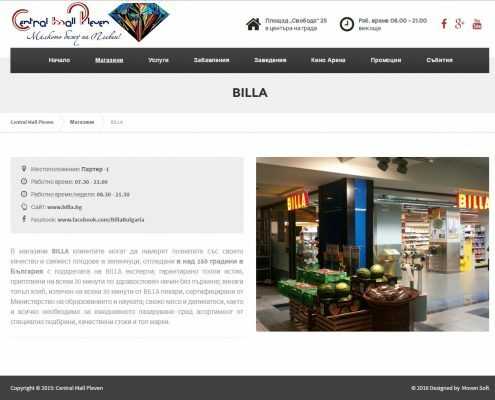 This is functional dynamic website of Central Mall Pleven. 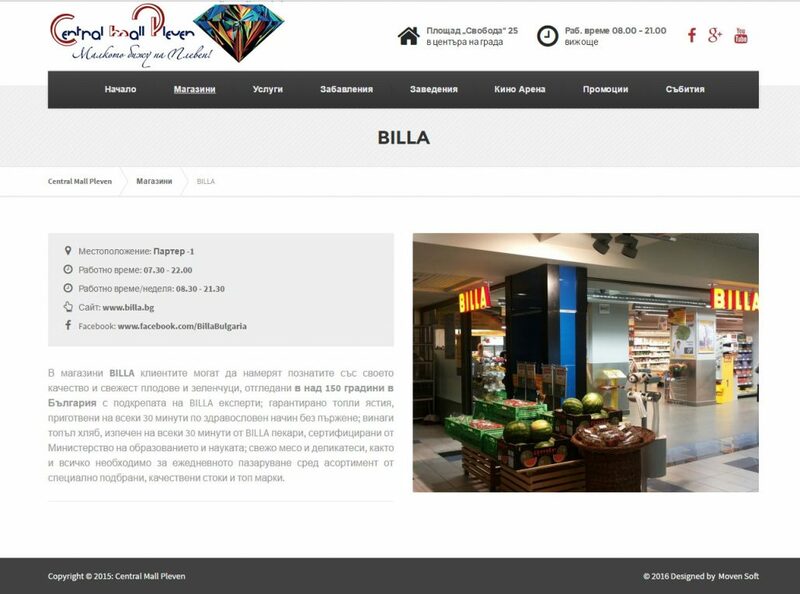 The site is developed with the main objective easy navigation of the customer. Presentation of the main sites in the mall with brief information and pictures.